NHL.com will be on location in Minneapolis beginning Sunday to provide coverage of the four-day United States National Junior Team selection camp at Mariucci Arena on the campus of the University of Minnesota. The camp will help determine the 22-player roster for the 2014 World Junior Championship in Malmo, Sweden, from Dec. 26 through Jan. 5, 2014. Check back often for blog reports, news and features, as well as a recap of the exhibition game in Mankato against Minnesota State University on Tuesday. The United States National Junior Team begins defense of its gold medal-winning triumph at the 2013 IIHF World Junior Championship with several new faces looking to create their own mark on the campus at the University of Minnesota beginning Sunday. The first item on the agenda as the U.S. prepares for the 2014 WJC in Malmo, Sweden, is the 29-player selection camp consisting of five practices at Mariucci Arena as well as a pre-tournament game at Minnesota State University on Dec. 17. All practices at Mariucci are open to the public. After training is complete in Minneapolis, the team will travel to Angelholm, Sweden, to continue the evaluation process from Dec. 19-23. The Americans will play pre-tournament games Dec. 20 against Sweden and Dec. 22 against Finland. U.S. National Junior Team coach Don Lucia expects to finalize his 22-player roster Dec. 23. Lucia, who is in his 15th season as the head coach for the Golden Gophers, is excited that the first leg of the evaluation process will be held in Minnesota. "It's obviously good for me and for the guys from this area," Lucia said. "My original plan was to try and get an exhibition game against our team, but unfortunately we're in final exams and the school wouldn't allow us to play. We were able to schedule a game against Minnesota State in Mankato, so it'll give us a game as we look to try and evaluate our players before we head over to Sweden." 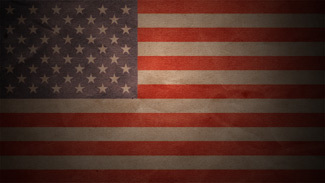 The United States had a 3-1 victory against Sweden in the gold medal game of the 2013 WJC on Jan. 5 in Ufa, Russia. It marked the third championship triumph for the United States at the 10-team tournament. "I think it's a great accomplishment for our country [to win the WJC]," Lucia said. "At the same time, that was last year's team and last year's coaches and it really has no bearing this year. It's not like this is an NHL team that won the Stanley Cup that has 90 percent of its players returning the next season." Lucia will have three returning players from the 2013 U.S. National Junior Team that was coached by Phil Housley: forwards Riley Barber of Miami University and Ryan Hartman of the Plymouth Whalers of the Ontario Hockey League, and goalie Jon Gillies of Providence College. "When you have a couple guys in Hartman and Barber who played very significant roles on the team last year, they understand the process, so we'll be leaning on them," Lucia said. "You have players joining this team and getting together that have leadership roles on their own teams. As a coaching staff and as players, that's something you can't fake and usually leaders bubble up. We should know who our true leaders are before we begin the tournament." DEFNSEMEN: Matthew Grzelcyk, Boston University, HEA (Boston); Brady Skjei, University of Minnesota, Big Ten (New York Rangers); Ian McCoshen, Boston College, HEA (Florida); Steven Santini, Boston College, HEA (New Jersey); Brett Pesce, University of New Hampshire, HEA (Carolina); Anthony DeAngelo, Sarnia, OHL (2014); Will Butcher, University of Denver, NCHC (Colorado); Connor Carrick, Plymouth, OHL (Washington); Jaccob Slavin, Colorado College, NCHC (Carolina). FORWARDS: Nicolas Kerdiles, University of Wisconsin, Big Ten (Anaheim); Adam Erne, Quebec, QMJHL (Tampa Bay); Stefan Matteau, Rimouski, QMJHL (New Jersey); Thomas Di Pauli, University of Notre Dame, HEA (Washington); Tyler Motte, University of Michigan, Big Ten (Chicago); Daniel O'Regan, Boston University, HEA (San Jose); Jack Eichel, USA U-18, USHL (2015 draft eligible); Andrew Copp, University of Michigan, Big Ten (Winnipeg); J.T. Compher, University of Michigan, Big Ten (Buffalo); Quentin Shore, University of Denver, NCHC (Ottawa); *Ryan Hartman, Plymouth, OHL (Chicago); *Riley Barber, Miami University, NCHC (Washington); Hudson Fasching, University of Minnesota, Big Ten (Los Angeles); Henrik Samuelsson, Edmonton, WHL (Phoenix); Ryan Fitzgerald, Boston College, HEA (Boston); Vince Hinostroza, University of Notre Dame, HEA (Chicago); Zach Stepan, Minnesota State University, WCHA (Nashville). Lucia will oversee a camp that includes 17 forwards, nine defensemen and three goalies. There are 13 states (Illinois leads the way with six players) and 19 NHL clubs represented on the roster. "I think some players really raised their games in the fall to solidify their spots with this team and some guys showed what they could do, versatility wise," U.S. National Junior Team general manager Jim Johannson said. "It's important to show that you're a versatile player, and on this roster you're going to see a lot of guys who can play a lot of roles with the team. That's always helpful in a short tournament, not knowing injures and all those things." Johannson went on to say that the performance each player exhibits will ultimately determine whether they remain with the team. "It's a deep pool of players, a group that will have to create their own identity and create their trademarks as a team," Johannson said. "When you talk about the World Juniors and short tournaments, you start with goaltending. We really feel strong about the goaltenders we have coming into camp and where they fit, not only in this tournament but the recent performance of U.S. goalies at the World Juniors." 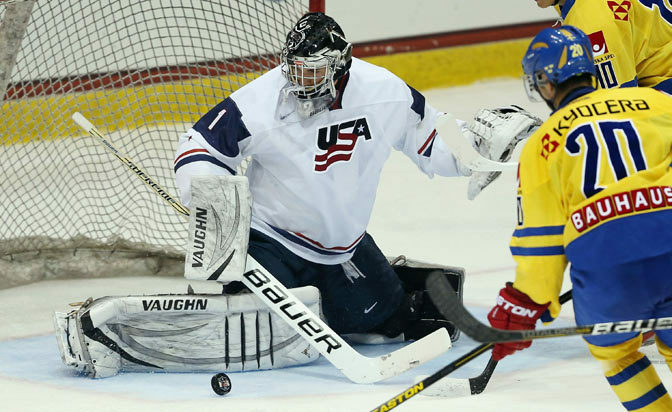 U.S. goalie John Gibson was named the best goaltender of the 2013 WJC after posting a 5-2 record with a 1.36 goals-against average and .955 save percentage. His save percentage established a new American record at the tournament. Al Montoya held the previous mark for save percentage (.940) at the 2004 WJC. Gibson's goals-against average ranks third all-time, behind the 1.33 GAA set in 2004 by Montoya and 2001 by Rick DiPietro. Gillies served as Gibson's backup and played one period of the 2013 WJC, stopping all seven shots faced in the third of an 8-0 victory against Germany in the tournament opener. Many consider the 6-foot-5, 215-pound experienced left-hander the favorite to win the starting role entering camp. "Our foundation has to be that we have good goaltending and we play well defensively and get some timely goals," Lucia said. "We have to be a good skating team, have to defend well and have a high character group of kids." The U.S. will compete in Group A in the tournament with Canada, Czech Republic, Germany and Slovakia.